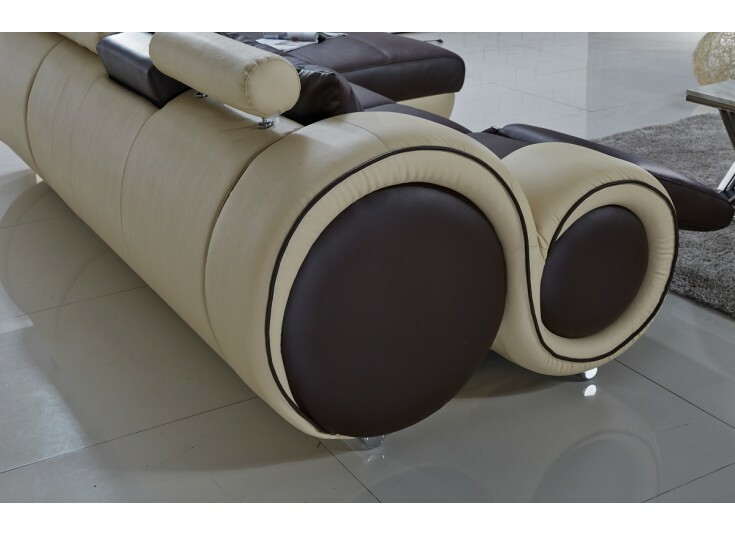 The HiteK Lounge Set challenges conventional designs with its bold curved features and two tone leather colour contrast. 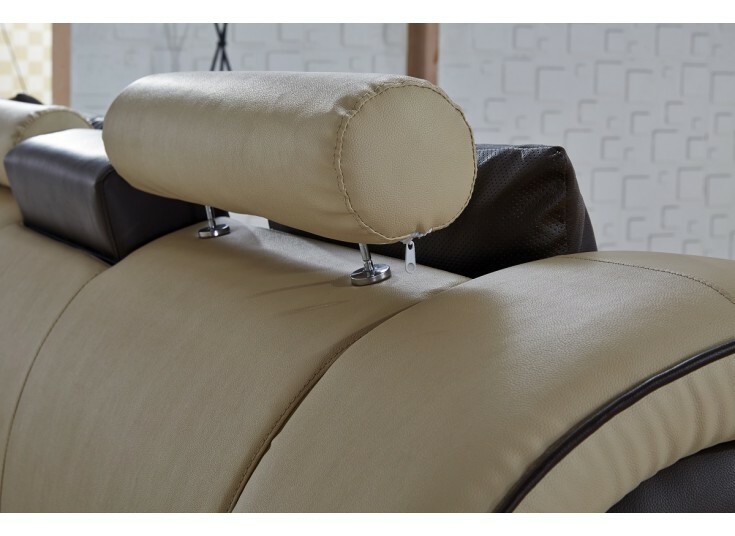 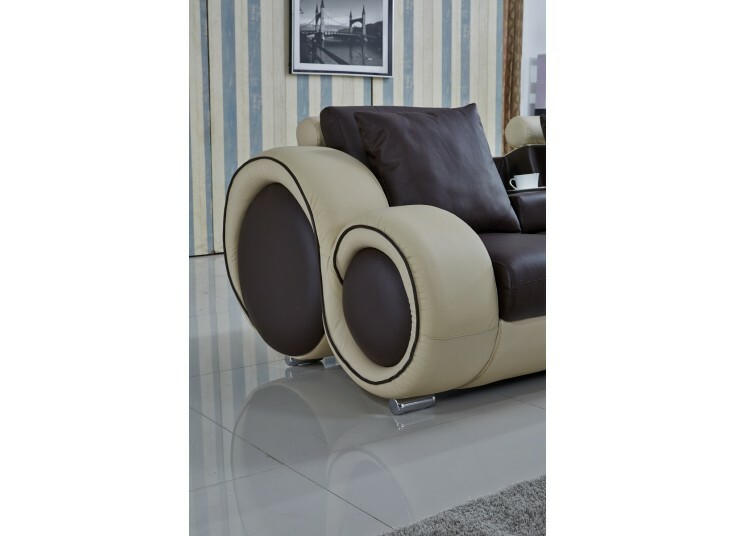 Naturally, the Hitek suite will add style and class to your living area with its upgraded features such as the top quality leather, solid legs and the adjustable headrest for an extra comfort. 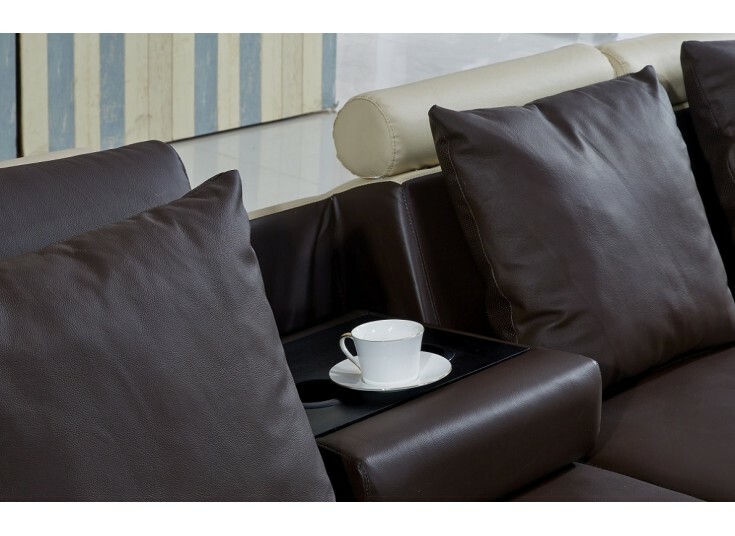 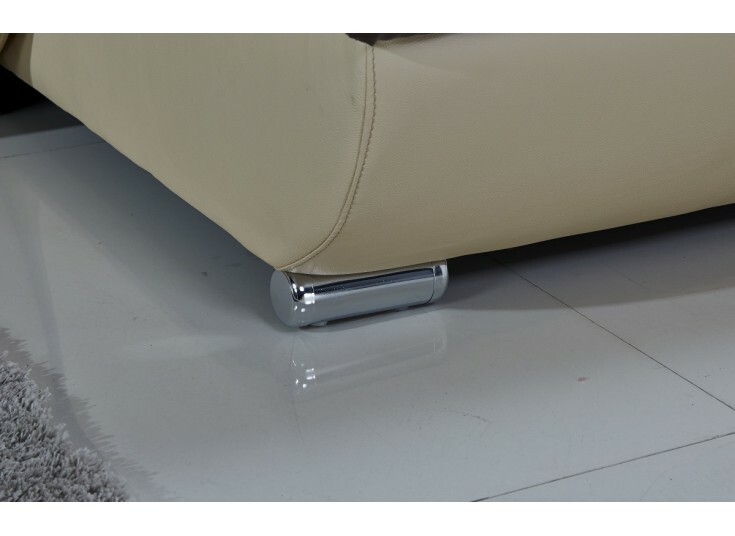 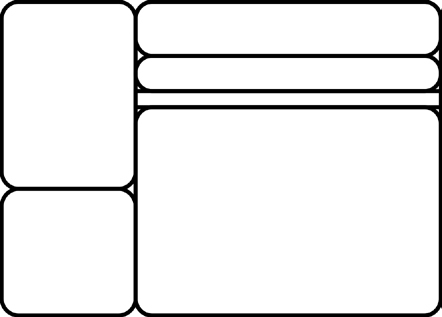 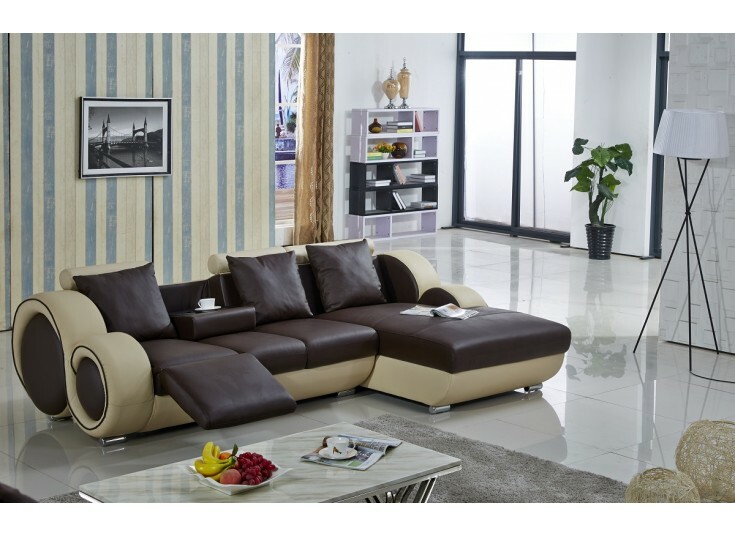 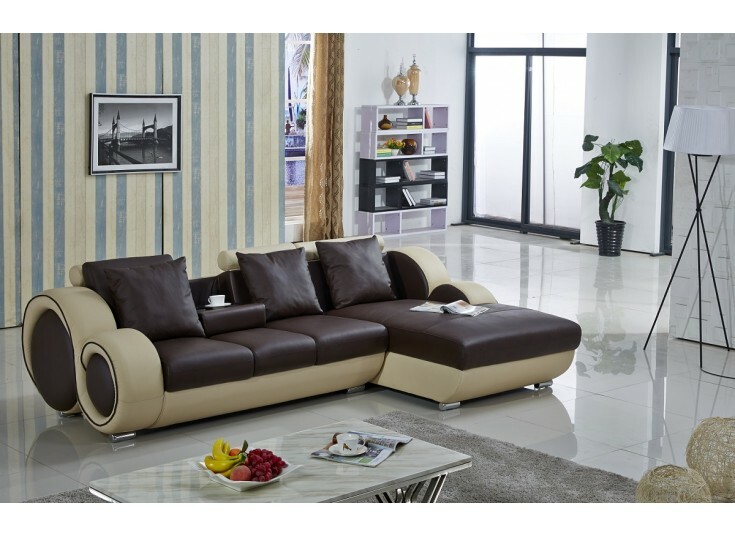 The integrated drink holder make this sofa the perfect place to entertain your guests. 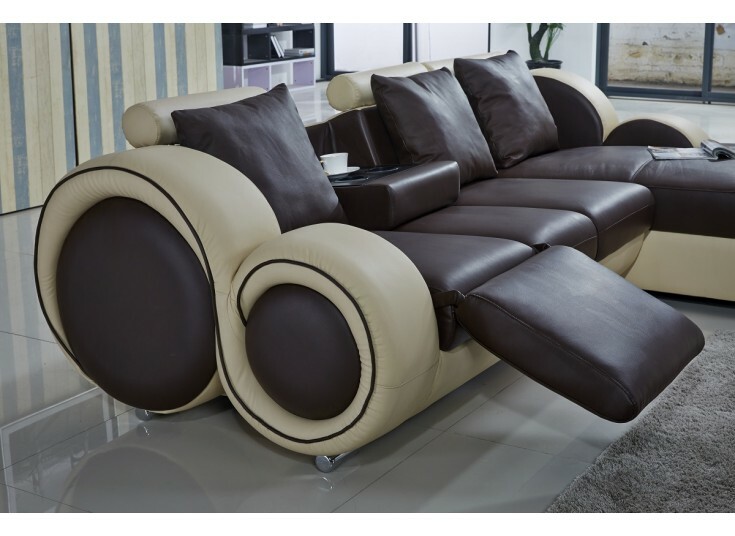 * Note Coffee Table and other accessories are not included.